Edited 1 time(s). Last edit at 2014-07-01 16:12 by bv. Fuc*king brilliant! Now I wish MJ could have done that live (as a surprise... ). English humor at its best. Lol Charlie makes it even funnier, great expressions. Great British humour with Mick and Charlie. Matt is being the straight man. Great to see python is back. Mick is taking over for Hari it seems. "The best one died years ago." Really funny. 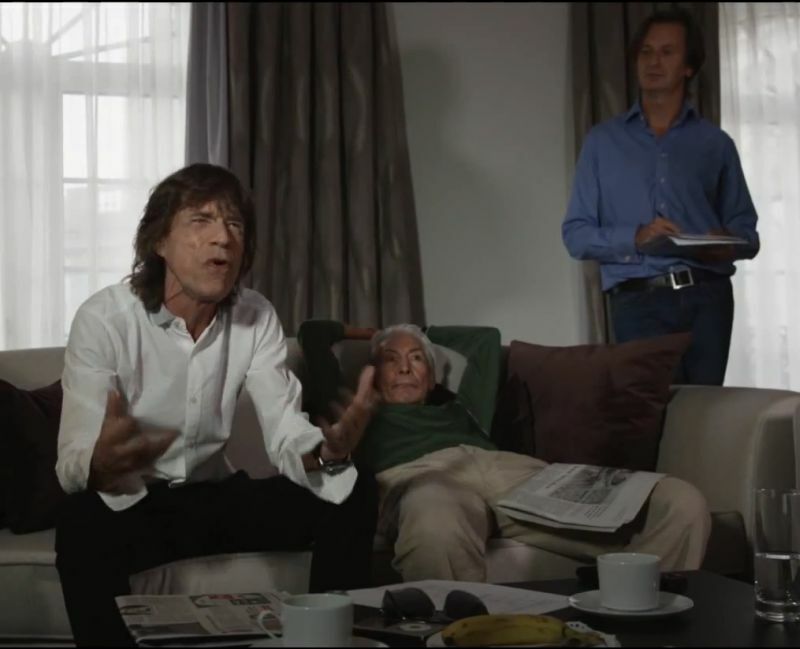 Jagger of course is a terrible actor which makes this funnier. Hope they'll do the Ministry Of Silly Walks as an encore in Stockholm. nasty: "the best one died years ago!" Mick always seems happy to take the piss out of himself. I wonder who's idea the gag was ? As they were talking about the set list, I was hoping Mick might dismiss the War-Horse suggestions and say "Now it is time for something completely different!" He says to open with Let's Spend the Night Together. They have never done this. He is using 3 song titles that are older than Python sketches. That is the purpose: not to resemble some real life setlist. I am a Frenchie ,as Mick affectionately called them in the Old Grey Whistle Test in 1977 . Mick, Charlie and Monty Python! Funny!!! Love Monty and the Stones. Haha that Charlie's face! GOMC is older than a python skit, and maybe JJF. they've been opening with those. I just seems like Micks detached "I don't even remember what we play or when It came out" routine. Or maybe he really doesn't remember. Edited 2 time(s). Last edit at 2014-06-30 22:45 by ryanpow.